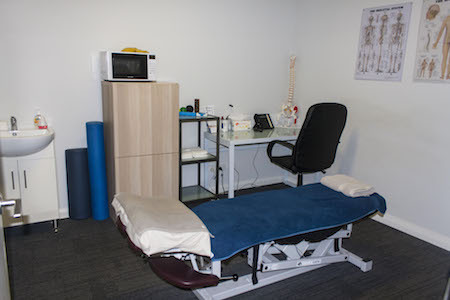 At Perth Sports Injury Clinic our Perth Chiropractic assessments include muscle, reflex, mobility and flexibility testing to determine the body’s overall functions and limitations. The nerves’ innervations to muscles are tested, which are then compared with strength on both sides of the body. Neurological innervation of muscles is often intact and not affected by generalised mechanical muscle and joint problems; they can also be managed well with Chiropractic and Physiotherapy in most cases. We’re able to determine the health of your external sensation with responses to sharp and dull feeling elicited with a paper clip for sharp and a cotton bud for soft. We obtain essential information relating to the feedback loops within the central nervous system with specific reflex testing. We look for any patterns, differences in speed and compare sides for knee jerk, ankle jerk, triceps and biceps responses among others. When there is an abnormal sensation or feeling of pain or another stimulus, there may be a myriad of causes. Chiropractors try to determine where the pain is coming from by using specific orthopaedic and motion movements which show the location of the pain. Our joints and muscles can mimic nerve pain when they are tight and restricted from moving in their proper way. Your feeling of pain may include pins and needles, tingling, sharp/stabbing pain, dullness, and achiness. These sensations are compared to objective Chiropractic findings to help us locate the area of concern. Forward bending may be reduced, with only minimal movement available before pain and stiffness lock the pelvis. It’s easy to check your range of motion and whether it’s improving on its own with lateral bending. Choosing one side of the body to test first and with hands sliding down the one side of the thigh with the fingers pointing towards the feet can help to build a picture of where the pain is centred. A nerve tension test which is used by health professionals all over the world, is called the straight leg raise or (SLR). Passively raising one of the patient’s straight legs from the table may cause radiating pain, weakness or altered sensation which radiates down the course of the sciatic nerve into the lower leg, ankle and foot. Pain or altered sensation before the straight leg gets to seventy degrees and which radiates down the sciatic nerve can indicate a more serious cause of pain. Radiating pain along the course of the sciatic nerve before the straight leg gets past seventy degrees can be due to disc or nerve problems and require immediate referral, direction to a specialist, or further testing. Chiropractic lumbar spine adjustments are not indicated if during this stage of assessment a positive straight leg raise response is obtained. No Chiropractic lumbar spine adjustments for treatment are indicated until a disc bulge is ruled out with an MRI or CT. If you have seen other chiropractors in Perth without results, contact Perth Sports Injury Clinic today!